Finally! Finally get the chance to try Boat Noodle with my buddies at Empire Damansara. We came here twice only got the chance to try it. Because the first time we went there is on public holiday and the noodles is all sold out on 6pm in the evening. We went there twice and it is always crowded. Crazy right? Well, Boat Noodle is originated from Thailand and this is the first branch in Malaysia. What so special about this place is………. Their noodle is Rm1.90 per bowl and every bowl is roughly 1 to 2 spoons of noodles. This portion is always not enough even though I am a girl. It is really small portion. If you went there before, you know get what I mean. I am not going to compare or what, but just to let you all know based on my research, it is only 10 baht per bowl in Thailand which converted to MYR is Rm1. There are only 2 types of noodles or flavor. Whatever it is… which are chicken or beef glass noodles and it is either dry or soup. I personally like their beef soup glass noodles. It taste sourness, saltiness and a little bit of spiciness. It is just nice to stir up your taste buds. But the chicken soup glass noodle is abit too spicy for us. 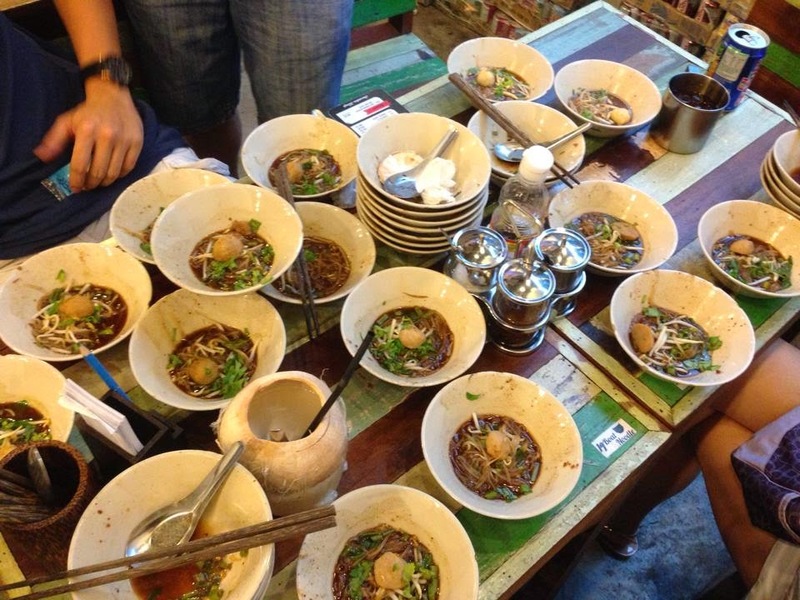 It is a fun experience to eat at Boat Noodle because you will get competing with your crazy friends on who can eat the most bowls. 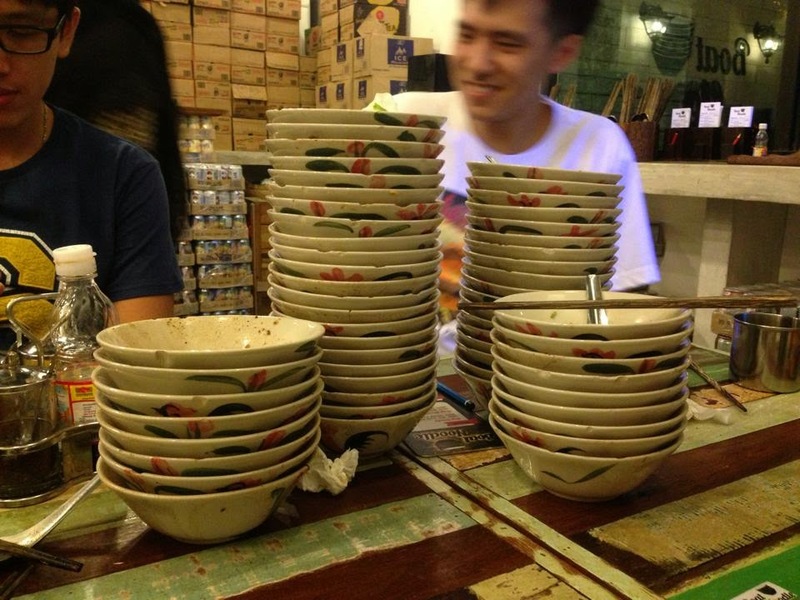 So 4 of us ate 57 bowls, I only ate 8/57. Yes, I know I am the loser. My fatty boyfriend ate the most. He ate 22 bowls. Crazy man! Anyway! They served dessert too! Proudly present to you Thai Pandan Dessert (Ka Wam-Tuay)! Chiang Chiang Chiang Chiang! It served in small bowl as well and it is just Rm1. Actually it tasted like Nyonya dessert. In a conclusion, if you haven’t try before, you should try it once in a life time.